Nothing is better then a good dinner out with family! We took advantage of the last couple nights of Summerliscious and went out to Oliver & Bonacini. Caitlin wore her new maxi from Zara in a light blush colour with a cinched waist and beading detail on the shoulders. She paired it with a simple brown leather strap sandal from Forever 21. 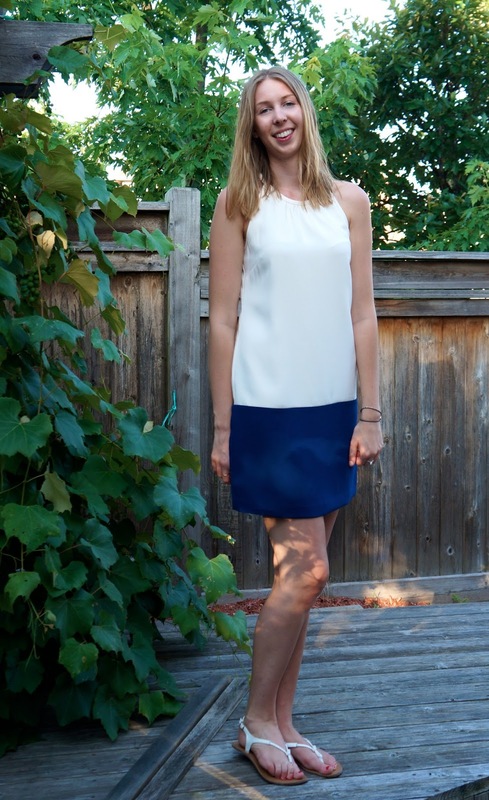 I wore a halter top colour block dress from Banana Republic. In an ivory top with a rich blue colour block bottom. I wore a thin braided strap sandal in white also from Forever 21.